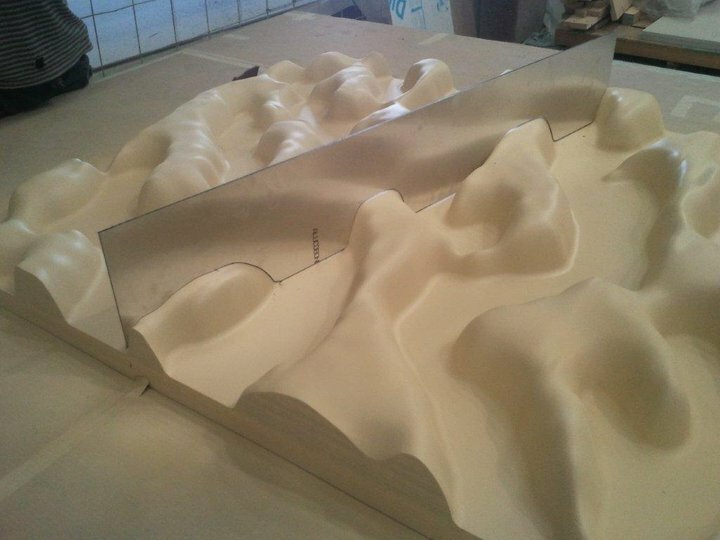 Some facade panels for the building I’m working on at our office, Minifie van Schaik. Project is the Edithvale Wetlands Discovery Centre in Edithvale-Seaford, Victoria. Currently in construction. 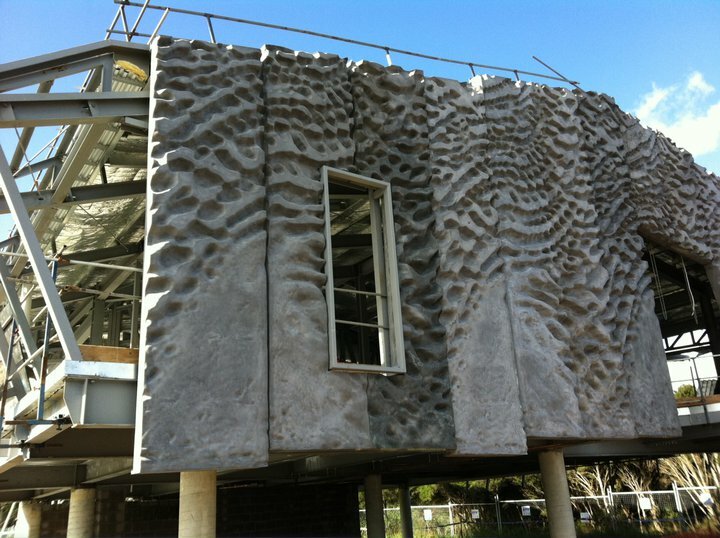 The panels are GRC (Glass Reinforced Cement). 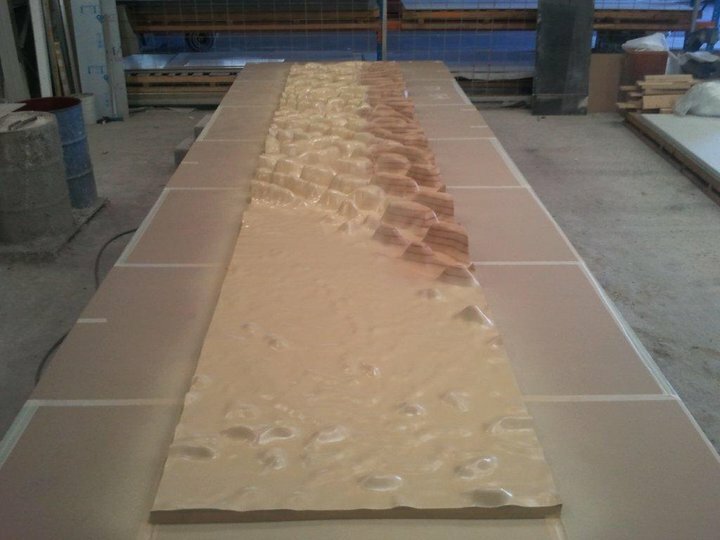 The digitally designed pattern is made up of 3 CAD-CAM milled MDF moulds, with each mould being 1.2 x 7 metres long. 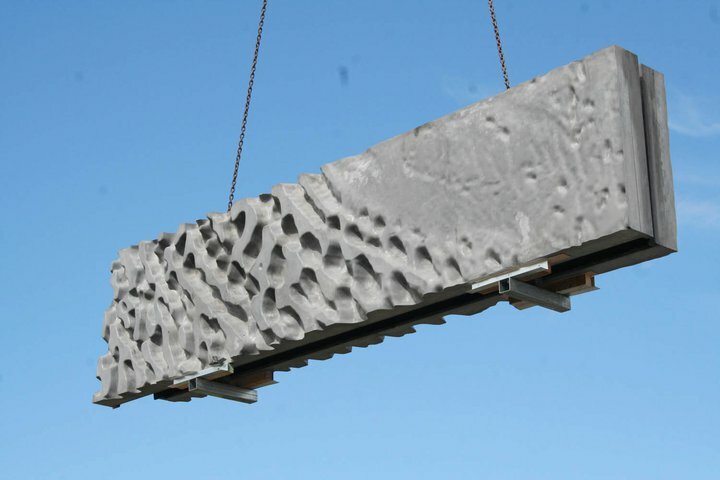 Before casting the GRC the moulds are prepped with a tooling resin and a release agent. 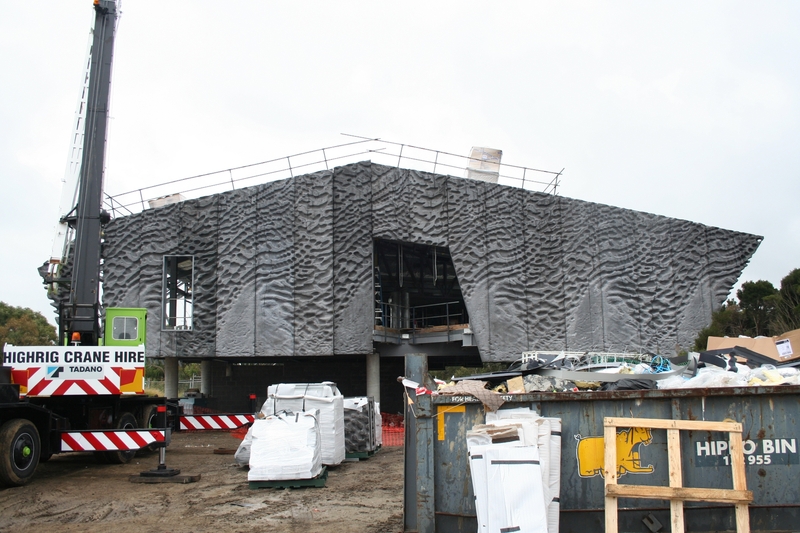 A total of 50 different panels were made up from the 3 moulds, each panel requiring at least 2 stop ends. The more complex shaped panels (corners, around windows) required up to 5 different stop ends each, with raked stop ends for parapet and window sill edges.